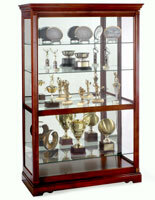 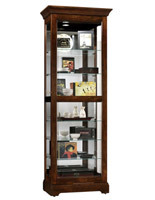 This Display Cabinet Has a Black Satin Wood Finish and Four Glass Shelves! 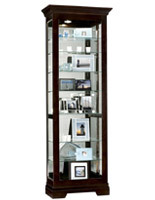 This Display Cabinet Is a Wall Showcase with a Both Way Sliding Glass Front Door! 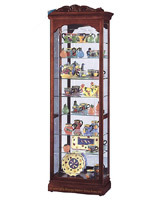 This Display Cabinet Ships Quickly! 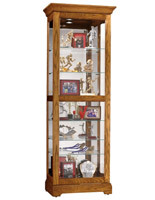 This display cabinet will fit perfectly in a chic, modern apartment, or a country home. 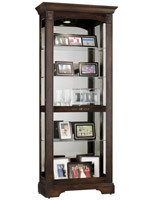 A uncomplicated, streamlined design with a black satin finish renders a modern cabinet highly flexible. 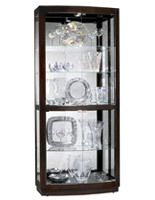 It is complementary to nearly any setting or décor, modern or traditional.